The Motley Fool is a media channel dedicated to helping the world invest for a better financial future. It is no surprise, then, that it has addressed the Centers for Medicare and Medicaid Services’ (CMS) new Hospital Inpatient Prospective Payment System rule, which requires hospitals to publish their standard charges online in a machine-readable format. In The Fool’s words, "hospitals are now required to list prices for all of their services, thereby giving patients a clearer notion of what to expect. 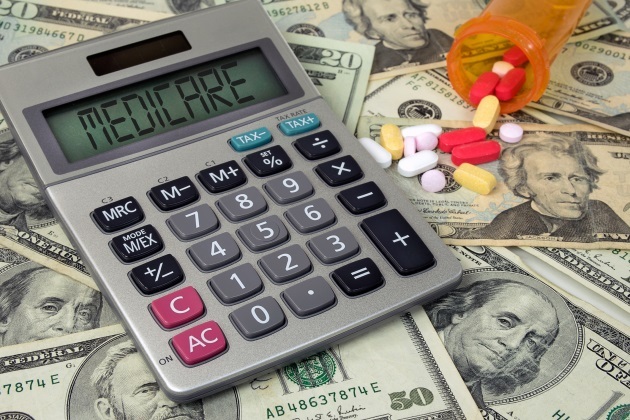 But while it's a good idea in theory, so far, the rule is only adding to consumers' confusion without in any way alleviating the cost burden for patients." They add, that the information hospitals have been providing is "perplexing, inconsistent, and not easily digestible for the average consumer." understanding their health benefits and plan specifics so they can make better decisions. addressing health issues early to avoid the risk of developing a chronic disease or complications that will cost more to treat. planning and having savings available to pay their portion of more significant treatment costs, when they do arise. But, what about the hospitals who are expected to comply with the rule? Guidance from CMS notes that the public list should include "the hospital’s standard charges for all items and services provided by the hospital, including all drugs, biologicals, and all other items and services provided by the hospital." And, it should also be a "digitally accessible document that includes only formats that can be easily imported/read into a computer system." This explains The Motley Fool’s advice to consumers and why it won’t be easily digestible for the average consumer. The reality is no two patients are alike. The cost for a healthy patient having the same surgery as someone who has multiple chronic diseases will probably be less if the latter has unexpected complications requiring additional care and treatment. Even the fact that the second patient has multiple chronic diseases means they will likely receive additional medications during their stay and possibly require added consults or tests. Hospitals should prepare for a few things. First, provide a list of costs as described above. Second, help educate their community, patients and family caregivers on interpreting the provided information. Third, offer average costs and/or a range of costs for common procedures that are often scheduled ahead of time to assist those who are shopping around. Lastly, and perhaps more importantly, hospitals should prepare to see existing organizations or startups leverage and manipulate their cost data for reporting it back out to consumers, competitors and others. This should trigger healthcare leaders to think about their organization’s financial disaster planning. Consider your own organization’s chargemaster. How clean is it — comprehensive, complete, accurate, relevant, up-to-date, etc.? For example, is it so highly inflated that consumers using a new hospital cost comparison app will be driven to choose the hospital down the road for their knee replacement surgery? Or is it so outdated that charges are missing or don’t begin to cover your actual costs; and an increase in demand for these procedures will result in more significant losses? The underlying issue is that most hospitals have more work to do than just posting their prices. As often seen in any theory that leads to public policy, there can be unintended consequences — and it is up to the hospital to do the work to minimize the associated risks. Assessing your chargemaster, educating, identifying needs and planning for unintended consequences will all be important for moving healthcare closer to the vision of "transparent" and "affordable." On the positive side, we may finally get to the point of having accurate cost data for better decision-making by healthcare leaders.